Your items are quality etched by sand blasting to ensure the etching quality is exceptional. 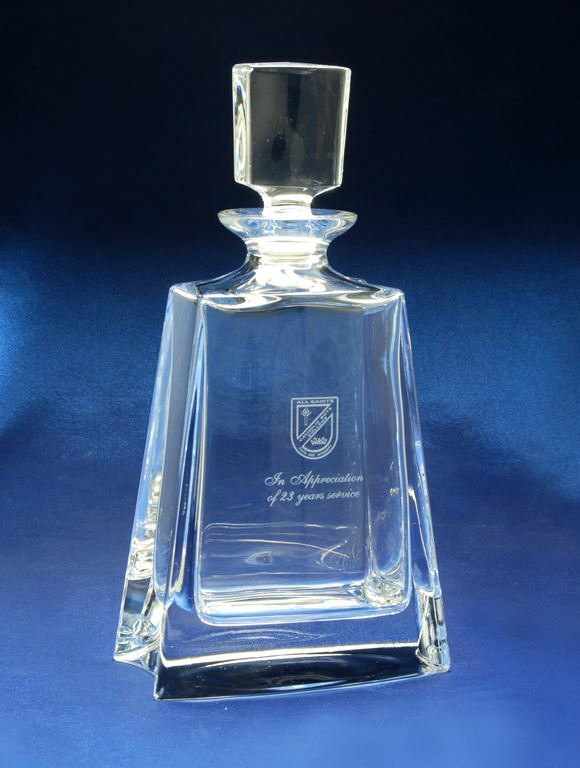 We never use our lasers to engrave crystal or glass as it does an inferior job. At Premier Awards you are guaranteed quality craftsmanship every time. Quality workmanship every time. We take great pride in our work and ensure your glass and crystal-ware is always the best quality it can be. We always use sand blasting as the engraving process to ensure you get sharp, clear and bright engraving. It's the only way to achieve an excellent result on glass and crystal. We never use laser engraving as it produces a dull and rough look to the glass and we would never compromise the quality of your product with cheap processing. For more information on the difference between laser engraving and sand blasting click here. We guarantee the quality of our workmanship, the efficiency of our service and the promised deadline. Your items are quality etched by sand blasting to ensure the etching quality is exceptional. We never use our lasers to engrave crystal or glass as it does an inferior job. The price for etching included 1 logo and text. Artwork Set Up fees may apply to logo set up. At Premier Awards you are guaranteed quality craftsmanship every time.